This newly renovated home is centrally located and the ideal holiday home if you wish to bring your pets along. 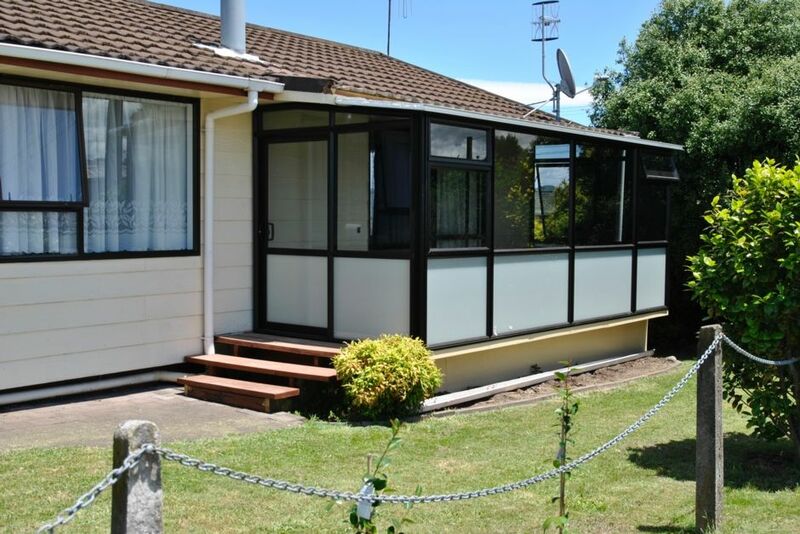 You can easily walk to the Taupo Town Center from this property. Consisting of one queen and three singles this home is simply perfect for a family getaway with the pets in tow. There is a heat-pump and wood burner fire to keep you cosy in Winter. *Linen not included, hire is available for$15.00 per person. Please ensure this is selected when you make your request. *Portacot and highchair are available for hire, for$25.00 each. Good location. Nice and warm thanks to the heat pump. The perfect property for a family. The perfect property for a family. Handy to the main centre and had plenty of space, a very modern feel and was easy to be comfortable in with the Heating provided. We would highly recommend it and rebook ourselves when we're next in Taupo. Clean, cosy and comfortable. Loved the TV! Very tidy and clean. Recommended to everyone especially for dog owners. Fully fenced. Sun room is leaking during our stay because of the rain. Reported it to Harcourts and they said they will have it fixed. Otherwise we enjoyed our stay.